In today's fast-paced business environment, speed equals competitive advantage. • Improve customer experiences with timely, accurate, and secure sales documents. 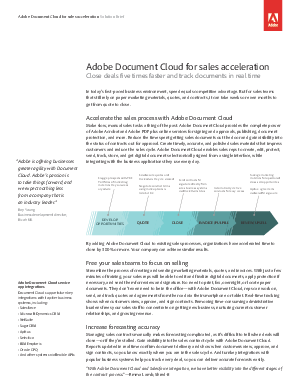 Download the paper to learn more about how Adobe Document Cloud can help sales teams close deals faster!